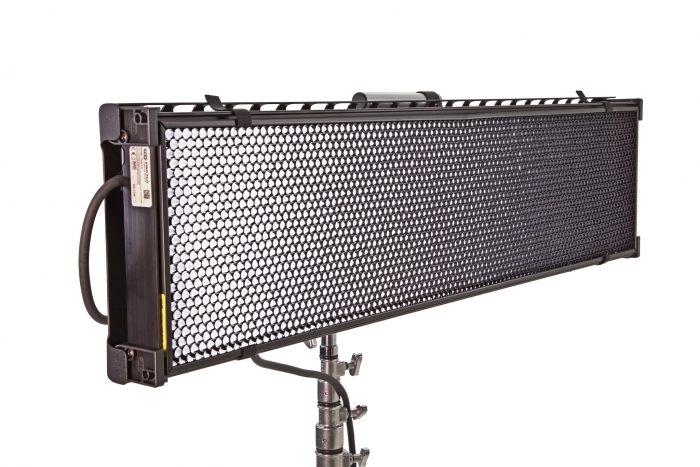 The FreeStyle/GT LED Fixture includes a Gaffer Tray and a 90° Louver. The Louver is held in place with Velcro fasteners. The LED panel can be removed from the Gaffer Tray by pressing the locking pin and turning the thumbscrew. The Gaffer Tray has a twist-on mating plate to accept a twist-on mount. 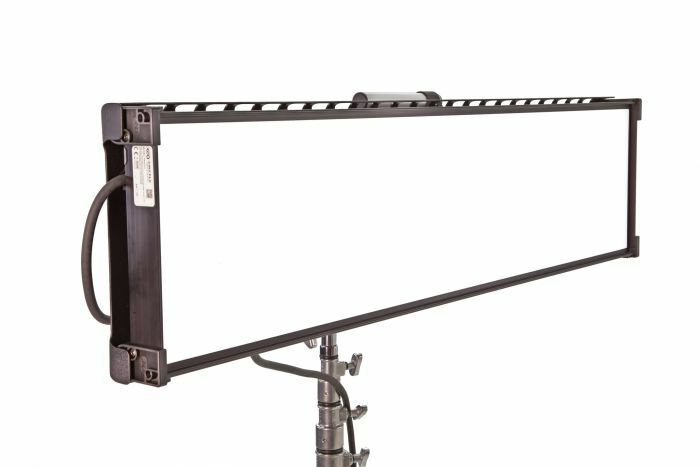 The LED panel also has a twist-on mating plate to accept a removable twist-on mount and has molded corners for additional rigging options. The remote Controller can also be attached to the back of the Gaffer Tray with Velcro or operate remotely with an extension cable.